Croydon police have made an arrest in the investigation of the tens of thousands of pounds that went missing from the Croydon Visitor Centre in the days (or, more specifically, one afternoon) after its closure earlier this month. As we reported last week, it is suggested that around £18,000 in cash was taken – proceeds from the sale of theatre tickets for West End shows – from the CVC premises alongside East Croydon Station. 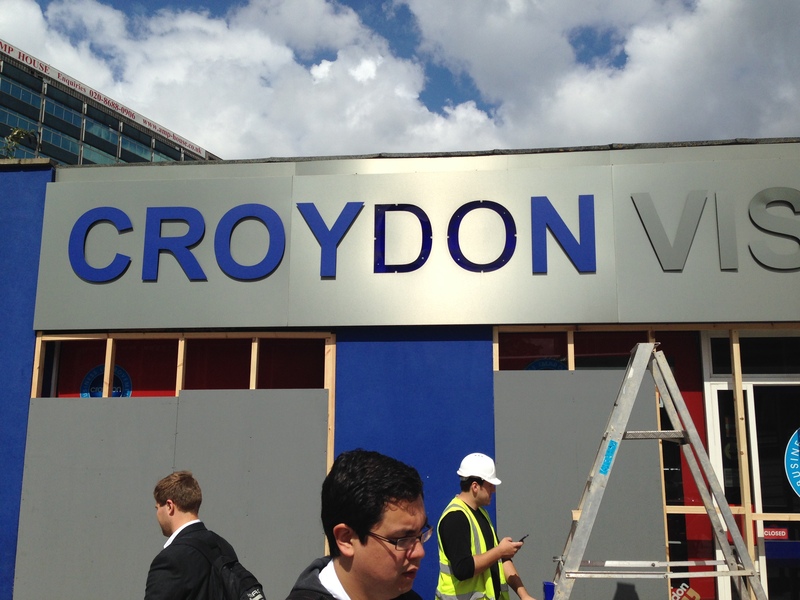 The CVC had been operated by the Croydon Business Improvement District, or BID, organisation. “Detectives from Croydon CID are investigating a burglary at the Croydon Visitor Centre. “The burglary at the venue, on Station Approach, was reported to police at around 09.10hrs on May 5, when it was discovered. It is believed to have occurred between then and when it was closed up at around 16.00hrs the day before, May 4. “A quantity of cash and equipment was stolen. The police ask that any witnesses (there’s a suggestion nothing was picked up on CCTV) or anyone with any information can contact the CID via 101 or call Crimestoppers anonymously on 0800 555 111. The Visitor Centre closed at the start of this month to make way for the Boxpark retail scheme, which seems likely to become the first viable commercial development to open on the Ruskin Square site. No one at Croydon BID was available to comment on the apparent irony that the extra rates paid by businesses to be members of the BID goes in part towards… extra policing of the area. Croydon BID is funded by local businesses, for the benefit of local businesses. An ill-advised group of Glee Club members claimed the Visitors’ Centre had serviced 700,000 visitors in eight years, and got together a petition, calling for Council Tax-payers’ money to be used to subsidise BID and open a Visitors’ Centre elsewhere in the town centre. Fewer than 70 put their names to the petition. This entry was posted in Addiscombe West, Business, Croydon BID, Policing and tagged Boxpark, Croydon, Croydon BID, East Croydon station, Metropolitan Police, Ruskin Square. Bookmark the permalink. From your earlier report today I’m trying to work through some simple maths. The visitors centre (CVC) makes £18,000 (after closing) in two days in proceeds from the sale of theatre tickets for West End shows in premises alongside East Croydon Station. The CVC had been operated by the Croydon Business Improvement District, or BID, organisation which Fairfield Hall falls into but Fairfield Hall (only 500 yards away), when it’s open loses £100,000 a year. But the BID is for the benefit of Croydon business? I could just go on and on. Has anyone noticed how lovely the pavements round Croydon look now?